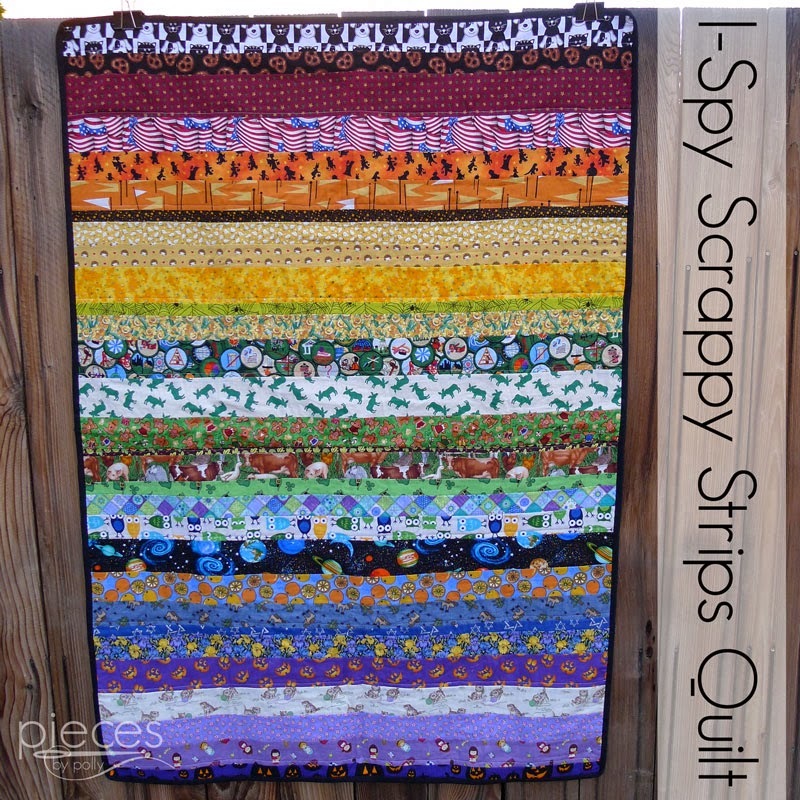 If you follow my blog, you know I've made a number of I-Spy Quilts and have hosted several I-Spy fabric swaps. If you're not familiar with I-Spy Quilts, each square has a different picture on them, and you generally get the squares as parts of I-Spy swaps. I've hosted several swaps in the past, and will be doing one again soon. If you'd like to be notified of the next one, you can go here and fill out the form at the bottom of the post or I have a couple of extra sets of I-Spy squares listed for sale in my shop here. 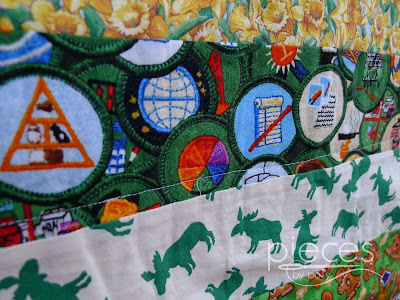 I also make custom I-Spy quilts if you're not up for making one yourself. I've also mentioned before that I prefer 1/4 yard cuts to fat quarters...and here's one of the big reasons why. I've been saving all those skinny little strips left over from cutting out my I-Spy squares and turned them into this. 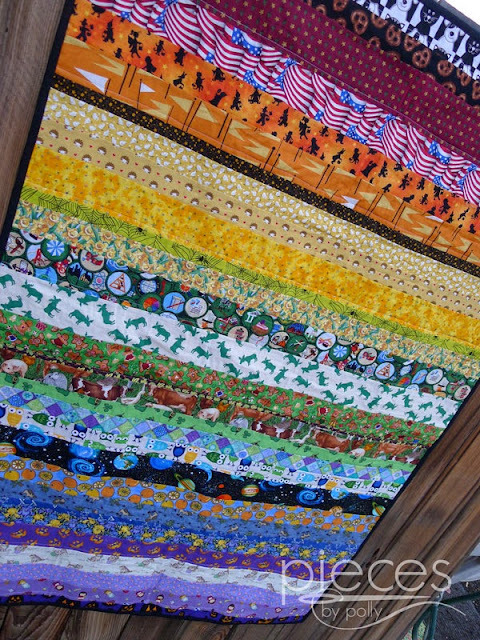 This is the ultimate scrap quilt since many of the scraps are too narrow for a lot of other projects. They range from just under an inch to about 3 inches wide. There's also very little waste...just the little slivers of fabric left from straightening the edges. I sewed the top together at the Pacific Northwest Modern Quilt Guild Meet-up a couple months ago. Then a couple weeks ago some ladies here in town and I got together to sew quilts and blankets for Katie's Comforters at Seattle Children's Hospital. I brought this quilt top with me and some other ladies did the quilting and binding on it, so I can't take all the credit. ...and just about everyone who sees this quilt comments on the owls. And as the very top print in the quilt there are some cats peeking out. The day I was sewing the quilt was the anniversary of Katie Gerstenberger that Katie's Comforters is named for passing away from cancer. I asked her Karen, her mom, what her interests were and cats was on the list. So cats are at the top in honor of Karen's Katie. I didn't take in process pictures for this one, but I started out by arranging my available strips in rainbow order. (You have to be a little flexible since some of them aren't as clear gut as you would think.) Then you'll find that different prints have different widths and can vary a couple inches in some cases. I sewed them together so that one side lined up fairly straight and the other side ended up being choppy. Then when I finished, I trimmed both edges, so they'd be square with the top and bottom of the quilt. And having just finished up our most recent I-Spy Swap, I think I've got enough strips to make another one of these. This one will be going off to the hospital later this month with about 5-10 others (depending on how many I can get bindings on) when my neighbor makes a trip out there. And just as a reminder, for each quilt purchased from my shop, I make AT LEAST one quilt to donate...either to Katie's Comforters for Seattle Children's Hospital or Cozy Comforts of Grant County. I'm given a lot of donated fabric for making quilts, and your purchases help me buy batting, coordinating fabrics other supplies necessary to make these fun blankets for kids. 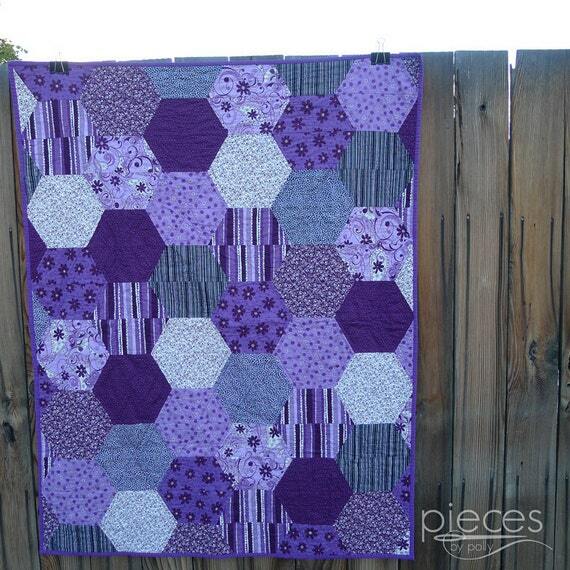 The quilts below are currently available in my shop. 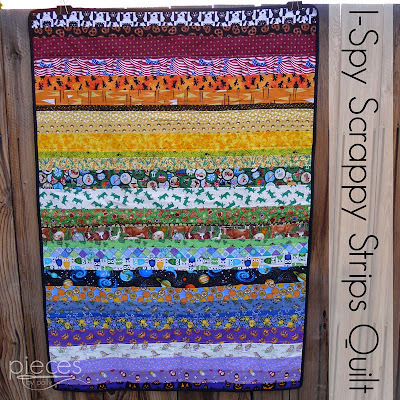 I love this twist on the traditional I-spy quilt, Polly! 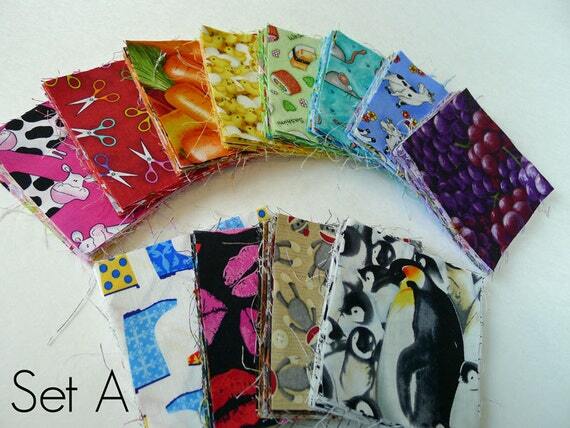 Such a great idea to use the scraps for this fun quilt rather than just shoving them into the scrap bin. I bet I have enough for one or two, too, haha. Polly, it's gorgeous! I love it, and I know that Katie would have, too - I love the "rainbow" color arrangement, the variety of fabrics and the thriftiness of using those smaller pieces. You are SO talented! Thank you for remembering Katie - and the date - and for all that you do for our guild, to bring comfort and joy to children in the hospital. We appreciate every thoughtful stitch, and every bit of awareness that you raise! Blessings to you! 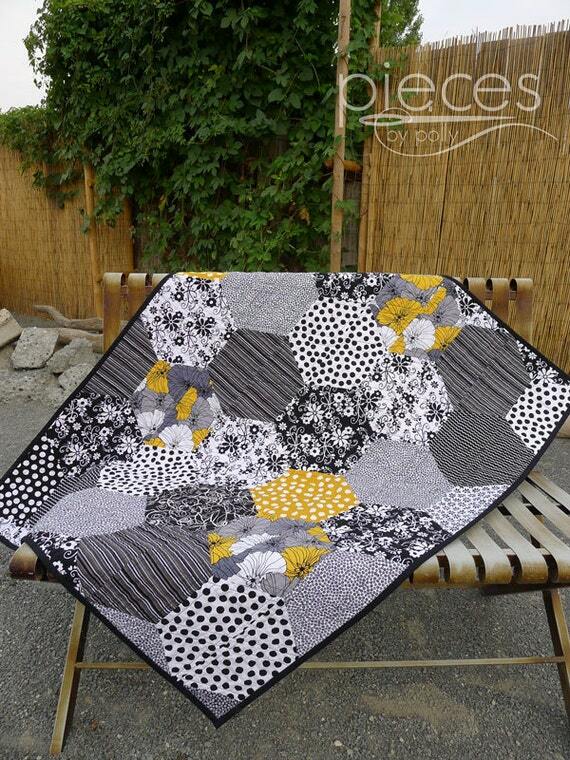 Strip quilts are my favorites! 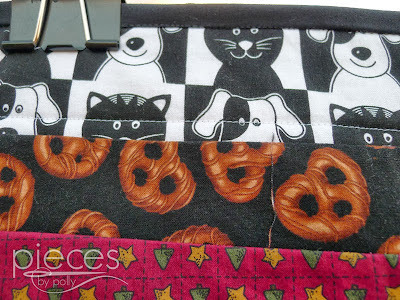 I love using varied widths and jelly rolls too! 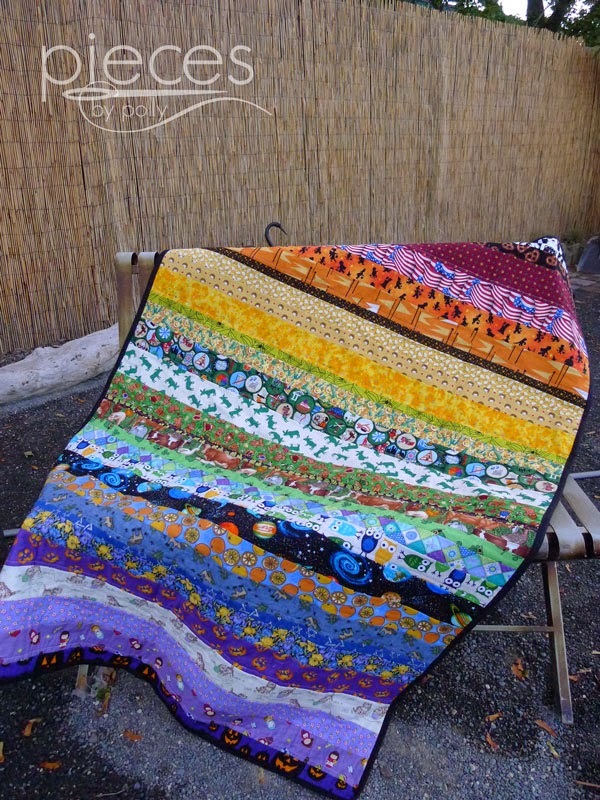 fun quilt Polly - I always seem to have lots of extra strips - I'll have to send you a bag! Love the collection of fabrics together, as will the child who receives it. Saying hi from Whatever Goes Wednesday. I'm your latest follower and I love that quilt so much. I love the stripes and the colors and the thoroughly modern feel to it. 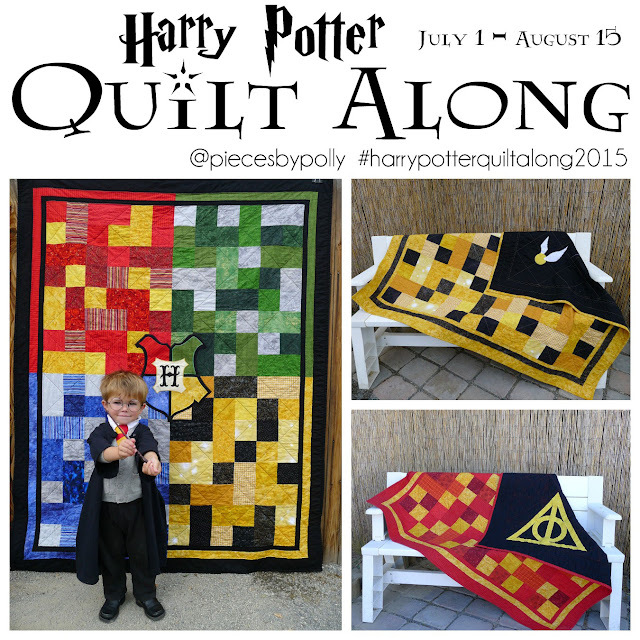 Keep on quilting! 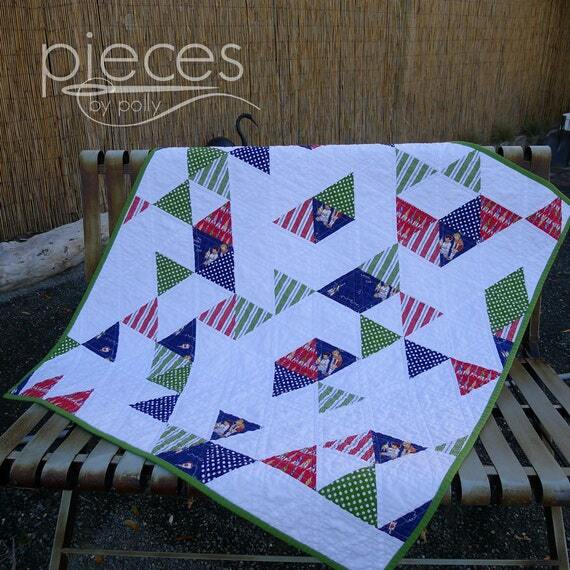 Your I spy quilt is so pretty. 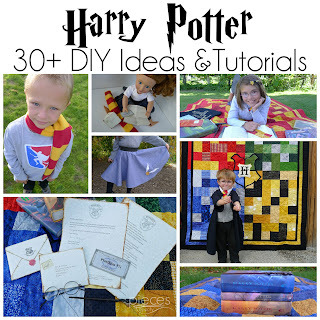 What a wonderful way to use up scraps and strips. It looks like something I could take a crack at. 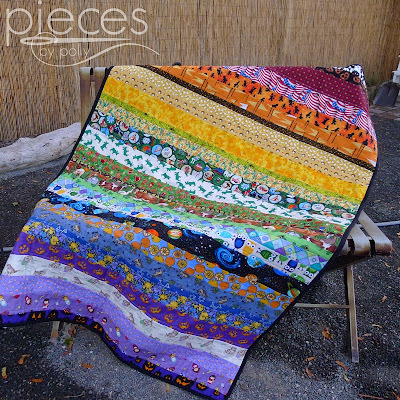 We don't in Pacific Northwest but imagine I could find someplace in Grand Junction that could use a quilt or two. I sew a lot this time of year so will be saving my scraps, I do anyway but this will make me think about it even more.